With its smooth velvet upholstery, deep button detailing and winged headboard, the Manolo Pewter Velvet Super King Size Bed is all about cosiness. 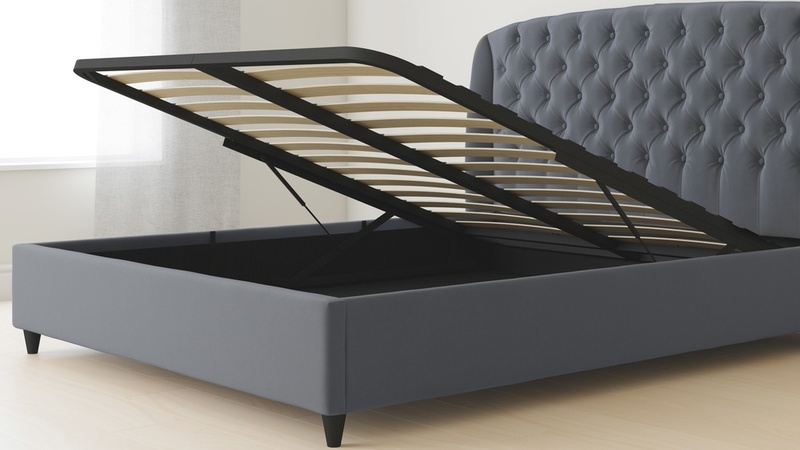 Whether sat reading, watching TV or going to sleep, the Manolo bed is where you'll want recharge after a long day! To access the storage space in this bed, we've used hydraulic pistons on the bed frame which make the ottoman smooth and easy to lift. The flat hardboard base is a great use of space for items that are being stored for a longer amount of time and need to be properly housed. The underside of the bed frame has an adjustable centre leg. This leg is hidden out of view but works to support your mattress, increasing the longevity and general support of the bed. The upholstery for the Manolo is a short pile polyester velvet but with the softer, matt appearance of a cotton velvet. This gives the bed a soft look and texture without too much of a sheen. 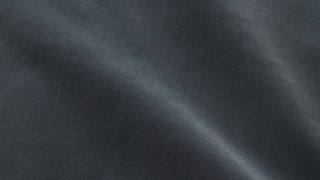 Polyester velvet is a far more accessible way to introduce a plush velvet finish to your home. The deep buttoning on the headboard makes for a luxuriously soft look, while the matt velvet helps give the bed a modern edge. The slightly winged sides offer a nice cosiness and enveloping feeling, so you can get in, snuggle up and get unashamedly cosy in this comfy bed. 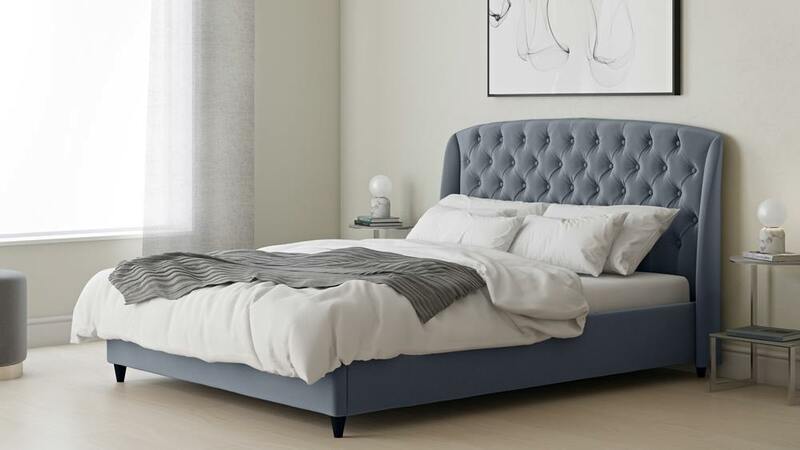 The Manolo super king size bed is also available in a king size and a double if you're looking for a slighter smaller bed to suit your space. The Manolo bed just oozes designer luxury. 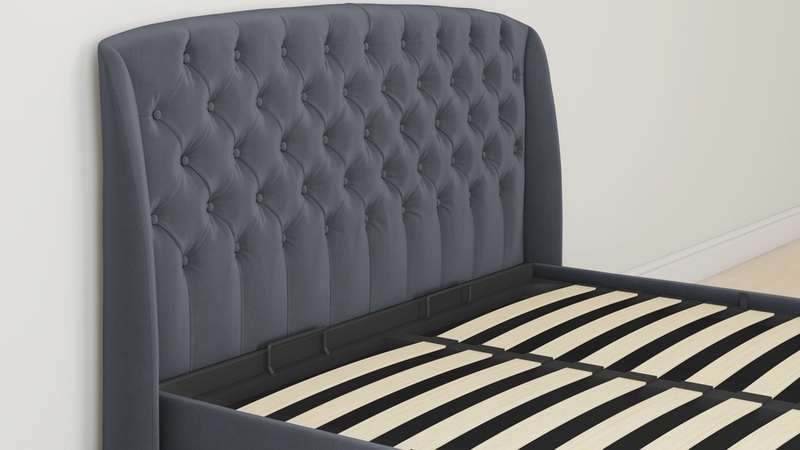 From its quilted headboard to its smooth velvet upholstery, this bed has been designed with modern style and irresistible comfort at its heart. 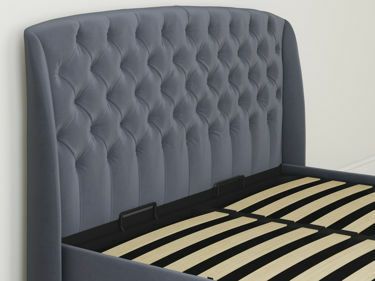 A true style statement, this velvet bed also has storage space making the frame as practical as it is good-looking! Stylist’s Tip: With a bed like the Manolo, it’s best to stick to a minimal colour palette. When you have a statement bed, you don't want your styling to overpower your headboard. Choose colours within the same shade to create a complementary look and create a serene setting.